As you’ve probably heard, brushing your dog’s teeth has major pay-offs for his dental care — silly as it may make you feel. But sharing your tube of Crest with Fido isn’t such a good idea. 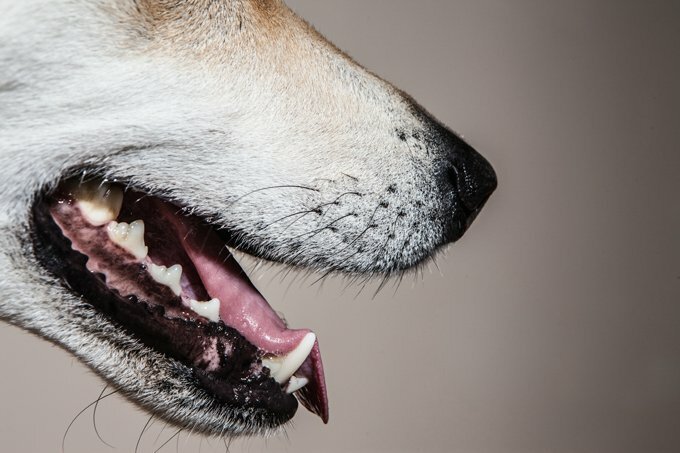 For one thing, human toothpastes contain foaming agents that aren’t meant to be swallowed, and since dogs are wildly inept at spitting, people pastes can make them sick. What’s more, dogs don’t care for our mint-flavored toothpastes any more than we’d enjoy their beef-flavored ones. The type of toothpaste you use doesn’t matter as much as the actual brushing action, so you can’t go too wrong when choosing brands — although the more your dog likes the toothpaste, the easier brushing time will go. I let my dogs lick the tube for a treat before I start brushing, and the more enthusiastically they lick, the better they seem to tolerate the brushing. See reviews of toothbrushes for dogs.